Windows 10 is on a roll. 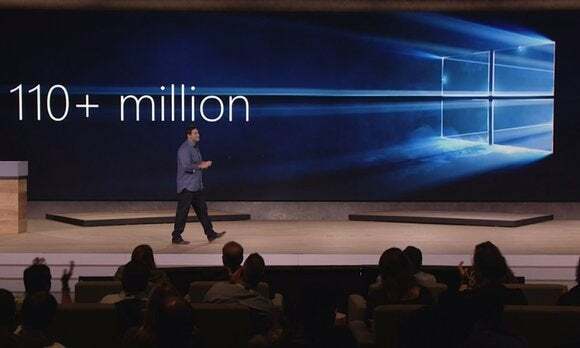 Microsoft kicked off its big device event on Tuesday by releasing some stats that drive home how hard Windows 10 has rocked and rolled since its launch 10 weeks back. Opened 650 billion webpages in the new Edge browser. Streamed 120 years worth of gameplay from the Xbox One to Windows 10. Asked Cortana 1 billion questions. Visited the Windows Store more than 1 billion times. Spent more time in the Windows 10 Netflix app than on Netflix’s webpage. All that attention has enticed a new whale into the Windows Store ecosystem: Facebook. The social giant is creating new universal Windows apps for Facebook, Instagram, and Messenger—apps that should scale across and work on all Windows 10 devices. That should please Windows Phone users who have been stuck using the janky Microsoft-made Facebook app for all these years.